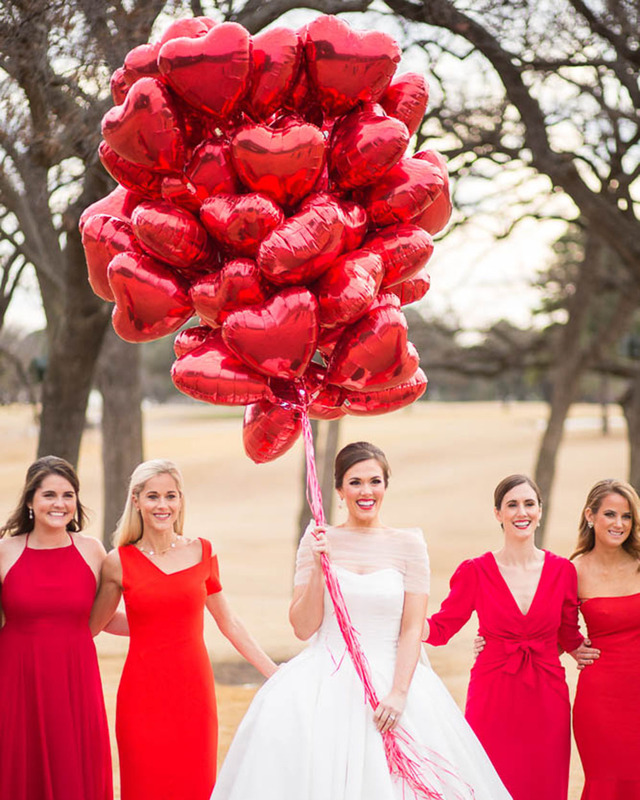 For their Dallas Wedding, Lamar and Andy worked with Caroline Fair of Caroline Events to organize a stunning celebration at Arlington Hall at Oak Lawn Park. The bride was beautiful in a V-neck illusion gown with floral detailing and carried a bouquet of vanilla roses and peonies wrapped with lace. Bridesmaids donned mismatched floor-length gowns in shades of blue and periwinkle. As guests made their way to the alfresco space for the vow exchange in front of a fountain on the historic property, they took their seats atop wood chairs topped with ivory cushions on both sides of a grassy aisleway lined with lanterns embellished with alabaster blooms. 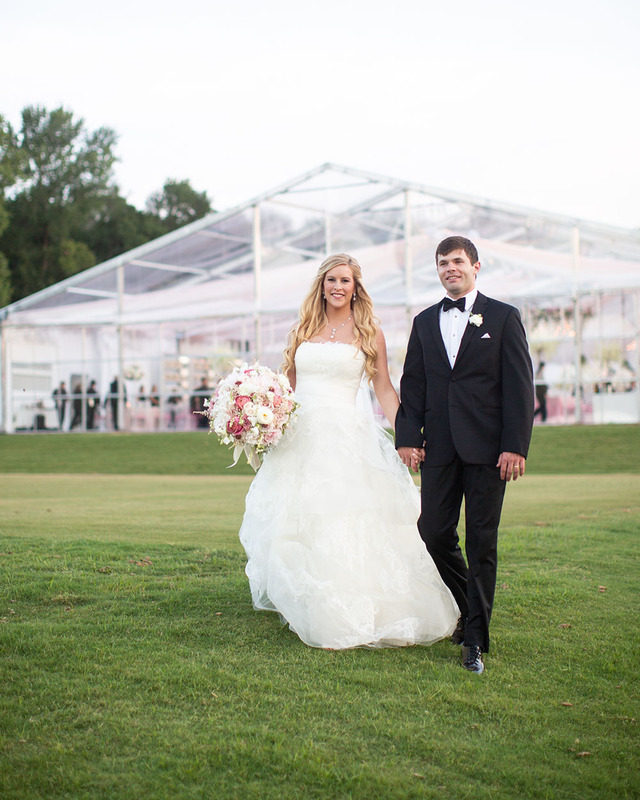 Following the sweet ceremony, loved ones made their way to a clear tented space decorated with twinkling string lights constructed off the porch, which features stately columns. 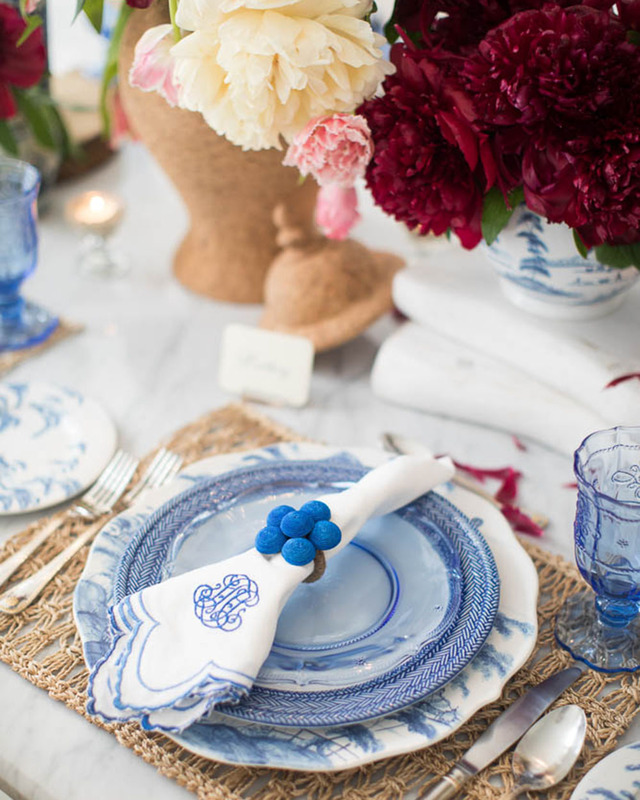 Dinner was enjoyed at tables strewn with azure linens and adorned with low arrangements of ivory florals. Above the six-layer classic wedding cake was a large chandelier made of antlers and cascading phalaenopsis orchids. Above the six-layer classic wedding cake was a large chandelier made of antlers and cascading phalaenopsis orchids. After dinner, attendees adjourned to the adjacent ballroom for the rest of the evening. The bride surprised guests by changing into a plunging V-neck halter gown with an ostrich feather skirt to dance the night away with her new husband, friends, and family. Loved ones then sent the newlyweds off with a festive streamer exit before departing with their much-appreciated favors: late-night snacks served in monogrammed boxes.